The 2018 U.S. Under-18 Women’s Select Team took one out of three games from its northern rival during the 2018 Under-18 Series vs. Canada, held Aug. 16-19, at the Markin MacPhail Centre in Calgary, Alberta. Casey O'Brien (Milton, Mass.) scored the overtime game-winner in the opening game of the Series, but the U.S. fell in its final two games - once in regulation and once in overtime after overcoming a three-goal deficit. 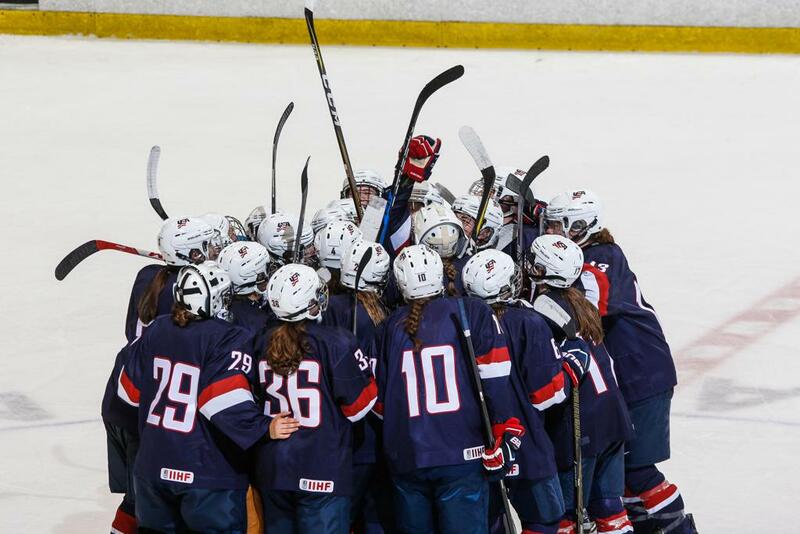 The 2018 squad featured new goaltending by young goalies Skylar Vetter (Lakeville, Minn.) and Natalie Ferenc (Orchard Lake, Mich.), but also several players returning to the team after having helped the U.S. Under-18 Women’s National Team win gold at the IIHF Under-18 Women’s World Championships, including Series top point-getter, Abbey Murphy (Evergreen Park, Ill.). Including the 2018 Series, the U.S. holds a 14-2-4-16 (W-OTW-OTL-L) record all-time in event history. Thurs., Aug. 16 Canada OTW, 2-1 Calgary, Alta. Fri., Aug. 17 Canada L, 3-4 Calgary, Alta. Sun., Aug. 19 Canada OTL, 4-5 Calgary, Alta.